Knesset candidate Baruch Marzel of Otzma Yehudit thinks that there is no difference between Binyamin Netanyahu and Benny Gantz. There is no difference between Benjamin Netanyahu and Benny Gantz, Knesset candidate Baruch Marzel of Otzma Yehudit, the most right-wing party running in the April 9 Israeli election, tells Gil Hoffman, who continues his “meet the candidate” series. 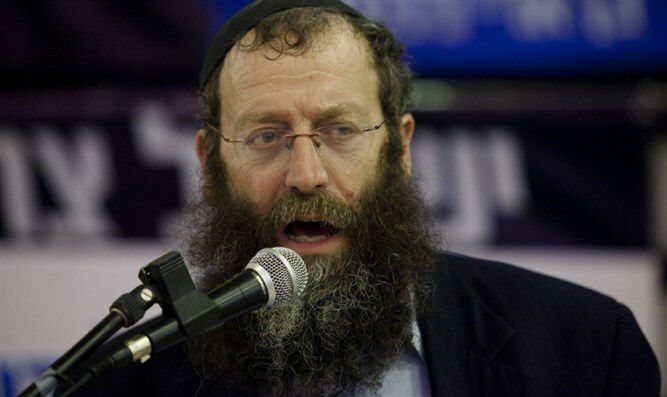 Marzel explains his party’s plan for the Arab Muslim population of Israel, saying that while most of them are enemies of the state and would have to leave, a minority of them could be allowed to stay and have equal rights if they serve the country for three years, as Jews do. A native of Boston, he also says what he would do as a representative of native English speakers in the Knesset.